These classic rifled slugs from Remington are a great choice for economical hunting with your smoothbore 20 gauge shotgun. 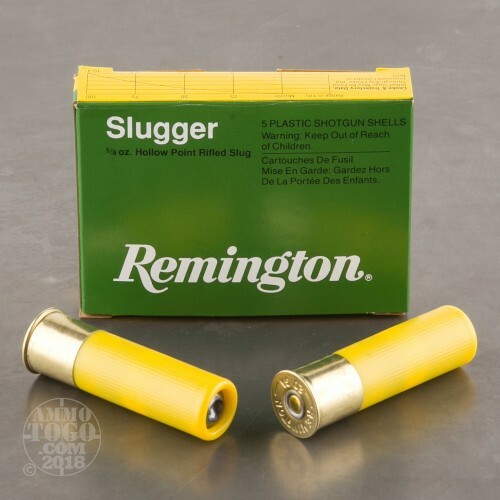 While the Slugger line has been around for quite some time, modern revisions have increased accuracy and muzzle velocity which aide in more successful hunts. 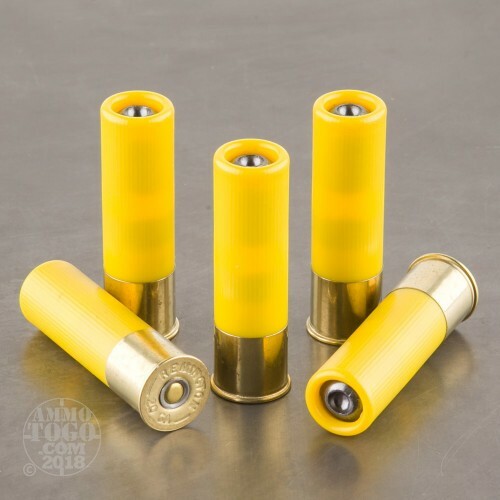 Each of this shotshells consists of a reliably igniting 209 primer, a high strength hull with radiused lip for easy loading, and a 5/8 ounce hollow-point lead slug. 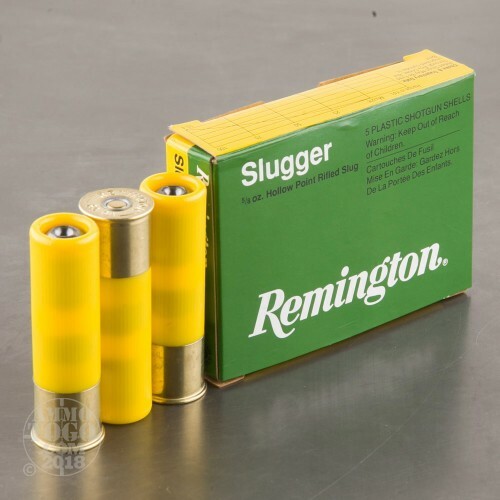 Remington's rifled slugs have deep grooves which grip the surface of a smooth barrel in order to impart spin for greater precision at extended distance. The shallow hollow cavity at the tip of the projectile combined with the exposed lead construction make for excellent expansion on impact that won't spoil penetration. 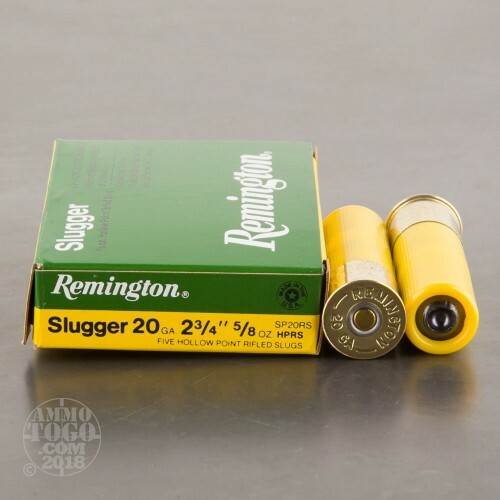 That means that these 20 gauge slugs will smash through thick shoulder bones in order to reach the heart and lungs of whatever deer or boar you are stalking.